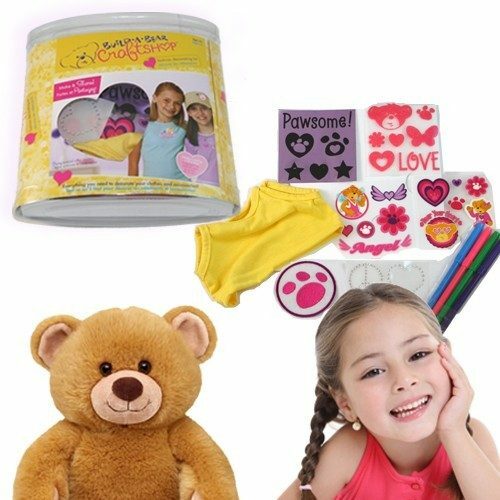 Build-A-Bear Craft Shop Fashion Decorating Kit Just $3.99 Down From $24.99 At GearXS! Ships FREE! You are here: Home / Great Deals / Build-A-Bear Craft Shop Fashion Decorating Kit Just $3.99 Down From $24.99 At GearXS! Ships FREE! GearXS has this fun Build-A-Bear Craft Shop Fashion Decorating Kit on sale for $3.99 (Reg. $24.99) + FREE shipping! Trick out a T-Shirt or give a Build-A-Bear buddy’s wardrobe a touch of furry flair! This beary special Fashion Decorating Kit from the Build-A-Bear Craft Shop is packed with everything your child needs to customize clothes and accessories! Loaded with fun goodies to make and share! Order today.